During Microsoft's XO18 fan event two week's ago, they announced 16 new games to be arriving for Xbox Game Pass. Aside from Thief of Thieves and PUBG, both of which arrived soon after the event, three more games were due to be added to the program in November. Microsoft has stuck to their promise and Agents of Mayhem, MXGP3 – The Official Motocross Videogame, and Thomas Was Alone have all been added today. We already know four of the titles due to arrive during December, although the first of those won't be released until December 4th. 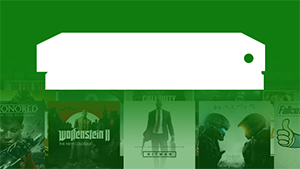 We would expect more titles to be added to Game Pass before then on December 1st, and we'll be sure to let you know as soon as we hear anything on that front. Meanwhile, it seems Guacamelee! Super Turbo Championship Edition is not the only game to be "removed" from the Xbox Game Pass section of the store without warning. Microsoft has also removed #IDARB, OXENFREE, Rise & Shine, and Westerado: Double Barreled from the list of Game Pass games. However, if players search in the store for those titles, they can still be installed with Game Pass and still have an exclusive discount if you wish to purchase the game. This is also likely to be a mistake, but you'll be the first to know if they're permanently removed from the service.